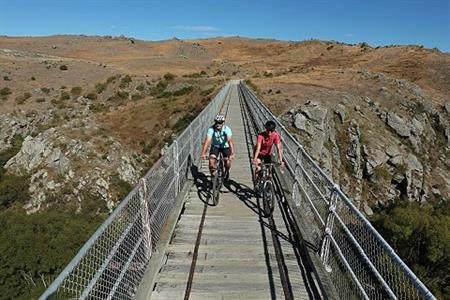 Central Otago is home to three of New Zealand's 23 Great Rides; the Otago Central Rail Trail is the Original Great Ride and is on many peoples 'must-do' lists. 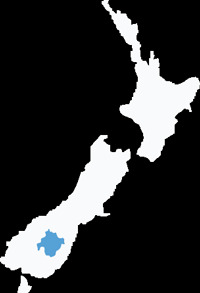 The Roxburgh Gorge Trail is known as the grand canyon of New Zealand, and the Clutha Gold Trail follows the powerful Clutha River and showcases the regions farming, fruitgrowing and goldmining history. 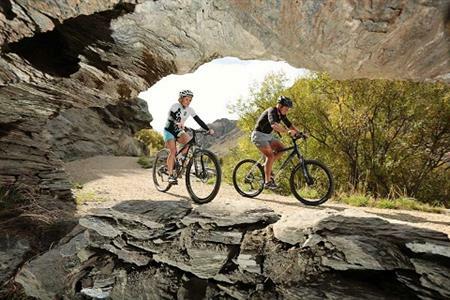 It's even possible to join these three trails together for over 250km of spectacular off-road riding through incredible scenery. 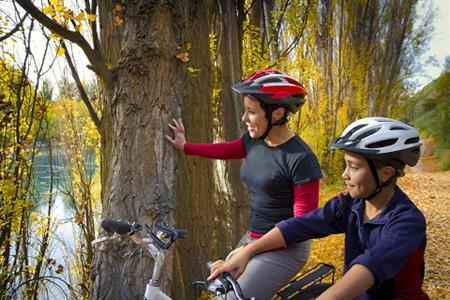 The entire Central Otago region is criss-crossed with smaller cycling and mountain biking trails for the adventurous or the leisure cyclist and there are lengths to suit any time you might have available. Near Alexandra the Flat Top Hill recreation reserve has a range of newly developed singletrack trails that are becoming very popular for the intermediate to advanced rider. 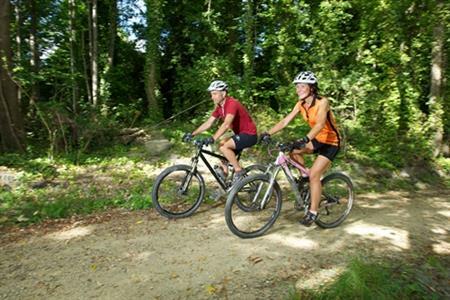 The historic township of Naseby is home to Naseby Forest which is a popular mountainbikers getaway with over 50 kilometres of singletrack mountain bike trails that are suited to all skill levels - a great weekend escape. 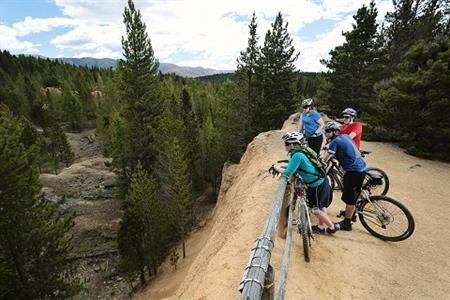 Each year a range of events are held for cyclists across Central Otago - Highlights include The Naseby 12hr Mountain Bike Race, Lake Dunstan Cycle Challenge, Rail Trail Duathlon & Mountain Bike Race, Linger and Die Series, Rock & Road Revolution, Bannockburn Gutbuster and Bannockburn Classic. For upcoming events see our event calendar. 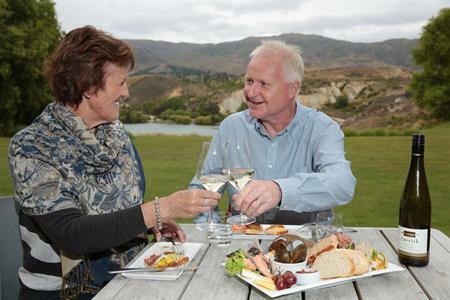 There’s no need to rush to get the most out of Central Otago. 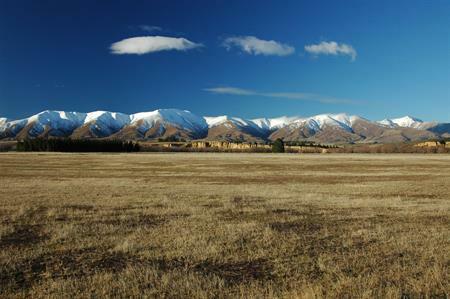 Take the time to enjoy everything that there is on offer in this spectacular region of New Zealand. 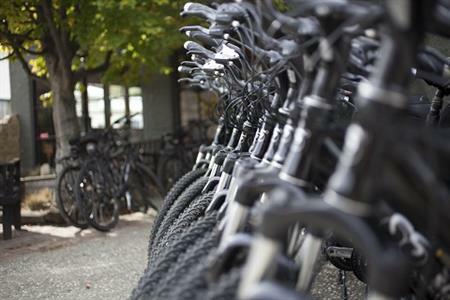 A cycling holiday in Central Otago is an opportunity to sample the finer things in life not just incredible scenery, but heritage, history, award winning wineries, great food and friendly locals.